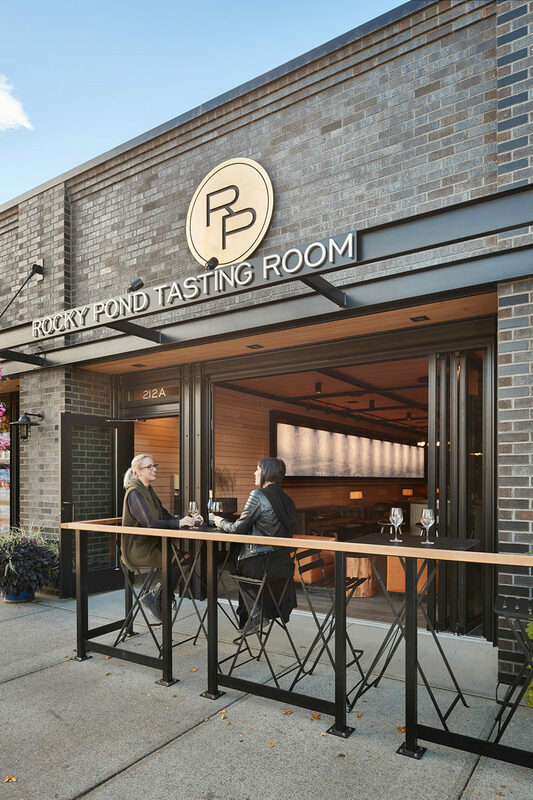 SkB Architects have given The Rocky Pond Winery tasting room a modern makeover from it’s previous retail space in Chelan, Washington. 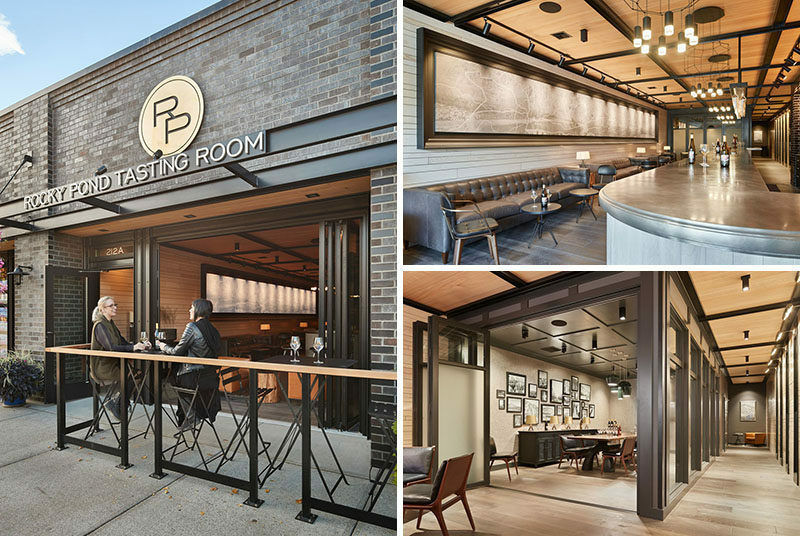 The space has been transformed to an open storefront and a semi-enclosed patio that leads to the interior of the tasting room. 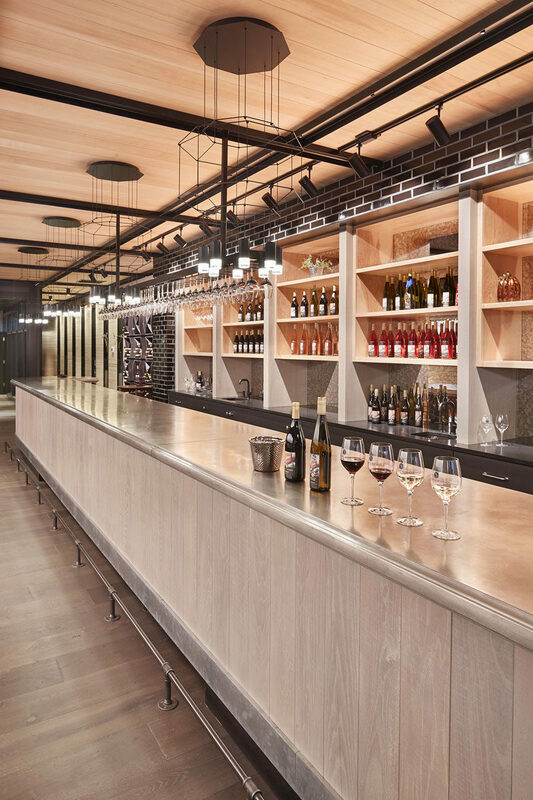 The use of casual seating arrangements, alongside natural materials and hues, creates a space well suited to experience the taste of their bold wines. 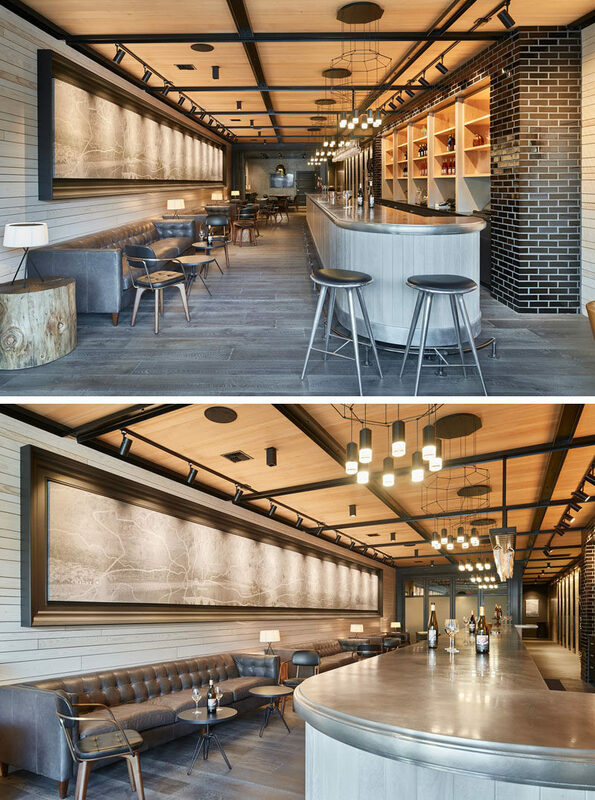 Entering the tasting room, a forty foot custom made art piece hangs above the seating, opposite of the bar. The image merges a cartographic image of Burgundy and photographic imagery of Rocky Pond vineyards. The casual seating and the neutral tones of the ceiling, walls, and flooring contrast with the dark furniture and light fixtures to create a contemporary look. The custom made forty feet long (20m) pewter-topped, pine based bar is the focal point of the room. Black geometric light fixtures hang above the bar breaking up the neutral tones of the space. An intimate private tasting and dining area has been created through the use of folding walls. Once opened the folding walls can also elongate the space as a whole. The dark furniture and black ceiling defines the space and emphasizes the hues of the natural fir ceilings, whitewashed pine walls and whitewashed oak flooring. 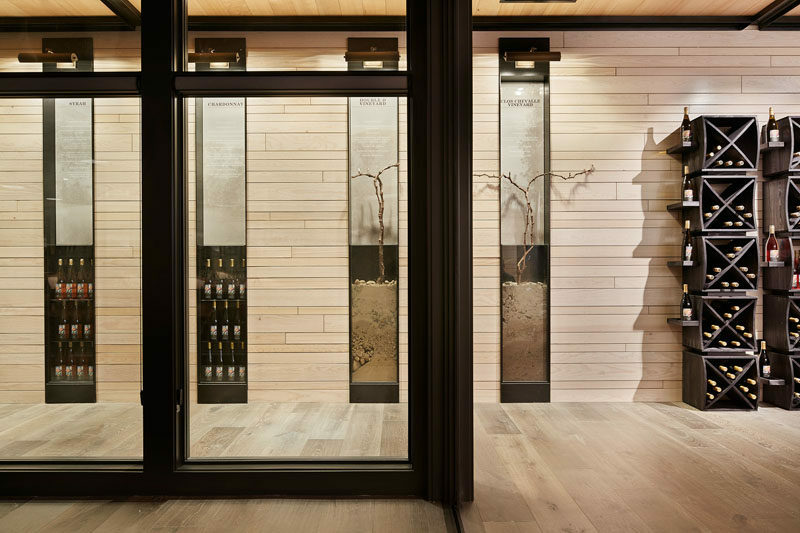 Next to the private tasting area, a set of inset glass vitrines have been added to showcase earth and vines taken from the Rocky Pond vineyards, allowing the winery to highlight the natural process of transforming grapes into wine.